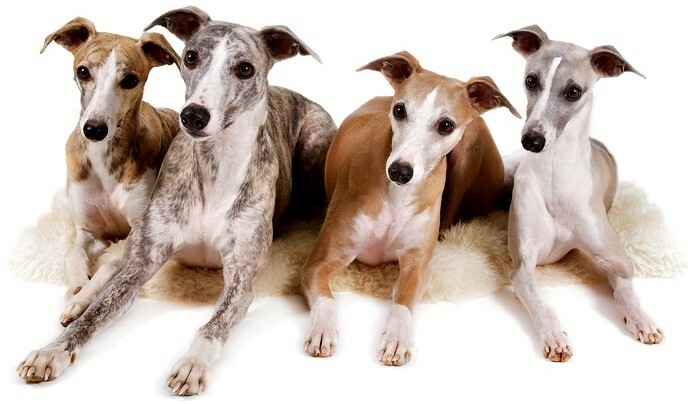 Whether you currently own or have previously owned a Whippet or possibly are completely new to the breed, we hope the information contained on this website will be of assistance. Updates will be regularly added to our noticeboard so don't forget to check back for news of club events and happenings. We would like to inform you, of the change of date for the next WCQ meeting. This will now be held on 24th April 2019 at 7pm Durack Showgrounds Meeting Room. We would also like to request nominations for our Champ Show Judge for 2020. Names must be in to me by 5pm on the 23rd of April, to be tabled at the meeting. We would like to apologize for the short notice in the change of date. Don't forget our next Fun Day! Come along to Nudgee beach for a great morning of Whippet Fun. Whippet beach walk and play in the off leash park. Gold coin donation which goes to the Whippet Club of QLD for Whippet Rescue. For photos of kit and list of contents - please visit our Club Merchandise page. 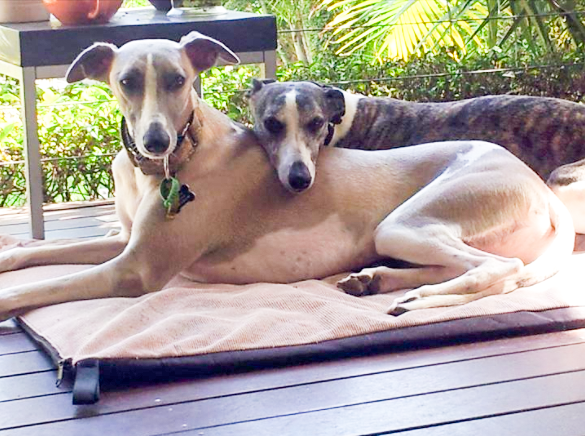 These two lovely Whippets are still looking for a home together. Angie - 10 yrs old, female, desexed, microchipped and vaccinated. Please visit our Rescue page to find out more about them. and our 'Whippet Fun Day' page for further Walk / Fun Day information. So please visit us again soon.